Second set of ww2 vehicles but with a cartoonish/toy design. 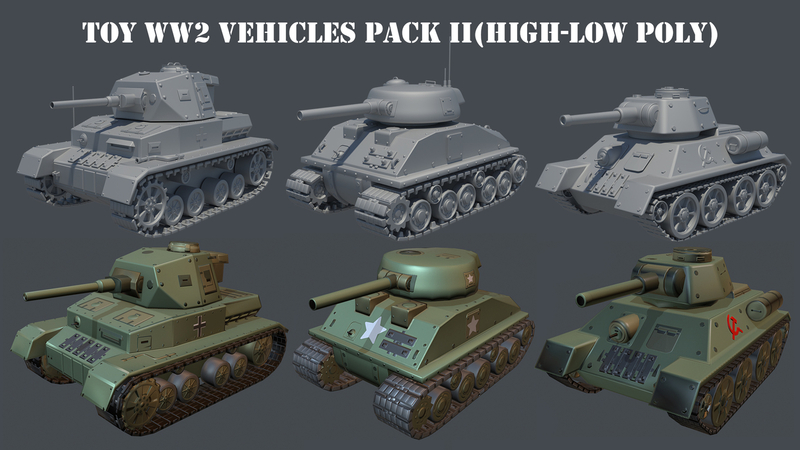 The high and low poly versions of the vehicles are from Allied, German and Russian armory. The low poly versions have ~700 polygons.